Branding Strategy Insider helps marketing oriented leaders and professionals like you build strong brands. BSI readers know, we regularly answer questions from marketers everywhere. Today we hear from Philip, a Marketing Manager from Zurich, Switzerland who has this question about making the shift to digital. It’s not clear from your query how your current brand is faring, so I’m not sure what’s behind the clamor for your shift to digital. If your brand is struggling in its current (analog) form, and with a more traditional marketing approach, to keep up with faster, more streamlined rivals with far-reaching online advertising campaigns, for example, then I can understand your frustration. If, on the other hand, none of your rivals have shifted to a ‘digital’ way of doing things, then there are risks, and advantages, to being the industry’s first mover. Moving to a digital-first approach certainly has its proponents. A couple of years ago, Marc Pritchard, Proctor & Gamble’s Global Brand Officer, suggested that while great advertising still requires clear consumer insights and a strong idea, a digital-first approach offered unprecedented reach because the medium “is a more fundamental part of people’s lives than any other medium in history”. In other words, as our lives become increasingly digital, it makes sense for brands to adopt a digitally focused approach. There are some impressive numbers to back this idea. Recently, Forrester suggested that the digital marketing spend in the US will approach $120 billion by 2021. What’s more they are forecasting 11% compound annual growth, as marketers spend more judiciously, millennials drive increased spend and online video takes hold. So the push to digital marketing is absolutely on, and many marketers, like you, will be wondering whether this is a trend they can afford to ignore. That said, a growth in digital advertising alone is not a powerful reason in itself for your brand to go all-in. It means, for example, that the medium is going to become even more crowded. Branding Strategy Insider Co-author Mark Ritson gave a scathing assessment of the headlong rush to digital advertising when he suggested that too many marketers were following fashion and the marketing crowd rather than doing what was good for their brands. Citing figures from the World Federation of Advertisers, he wrote, “Despite the fact that 45% of all marketers can’t see the value of digital advertising, 75% aren’t convinced of its effectiveness and 72% think marketers have over invested in digital, a massive two-thirds of that same sample expect to move more of their marketing money in to digital next year – many by as much as much as 40%.” In other words, Philip, Ritson’s view mirrors that of your colleagues. He clearly believes that the business case to do away with so-called traditional channels and to go all-in on digital formats has not been sufficiently well made that every business should automatically discard its traditional advertising spend and focus all its resources instead on digital marketing. Interestingly, McKinsey has examined where digital can become a tipping point in an industry, and their findings are also probably worth sharing here – because they may point to a good indicator for your decision. When digitization reaches the 40% mark in an industry, they report, the advantage switches quickly to those that have invested in a digital approach. Those who have been reluctant to change suddenly find themselves in catch-up mode and those that don’t react quickly enough will struggle to remain competitive. While the high-tech, media and telecom industries are already well beyond that 40% digitization mark, and retail is close, other industries are less advanced. So, Philip, a key consideration factor for your brand is the extent to which those around you are moving to digital models and the pace and effectiveness with which they are doing so. As to whether you should focus your efforts on being a digital brand or not, my own view is that a brand is a brand, and digital is another way of bringing a brand to market. Pritchard’s point is well made, but it must be remembered that, elsewhere, he has said that digital is now part of the everyday marketing arsenal and not distinct from it. That I absolutely agree with. The decision as to how and where you adjust your marketing channels to achieve your marketing goals comes down as I have said to your circumstances, to the levels of change happening around you and to how you can best reach your key audiences. 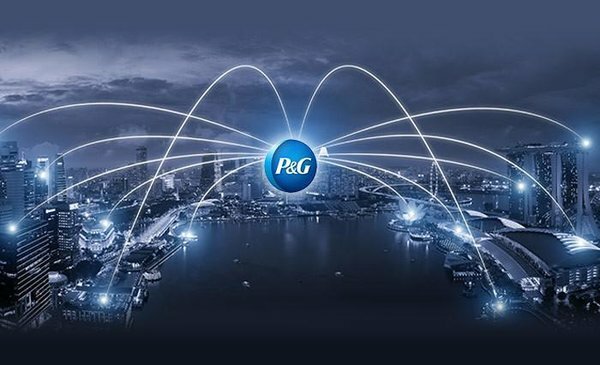 Another factor to consider in closing: both Proctor & Gamble and Unilever have appeared to scale back their digital spending in recent times, amid concerns that there is not enough transparency around automated ad-buying.